Shop hand-picked collections from fine brands including: Byron, Hart Schaffner Marx, Jack Victor, Hardwick, Ballin, Enro, Forsyth, David Donahue, Allen Edmonds, and Cole Haan. Byron Clothing is based on British styling which is known to be a trim and fitted sportcoat without being tight or uncomfortable. Notice the natural slope of the jacket’s shoulder to see that Bryon cares not only about the design but the construction of every piece that they make. Don’t forget to try our NEW Byron custom shirts and save 50% on your first shirt. Hardwick Clothes, America’s oldest continuously operated tailored clothing manufacturer, has called Cleveland, Tennessee its home since 1880. Their mission is to provide their customers with American-made products they can wear proudly. Jack Victor has proudly been manufactured in Montreal for over 100 years. Their collection combines traditional craftsmanship with the finest materials available to produce elegant, high quality menswear for today’s sophisticated man. This spring’s lively color palette showcases the finest fabrics from Biella, Italy. Hart Schaffner Marx clothing is defined by their American heritage, craftsmanship and quality. This spring we are excited to offer a variety of styles in their trimmer “New York” fit…soon to be the new classic, the raised armhole & slimmer sleeve help emphasize the gradual suppression through the waist. Complemented by a shorter jacket and narrow shoulder, it makes a statement without saying a word. Visit The Foursome in Plymouth, MN to shop our complete selection of fine menswear. 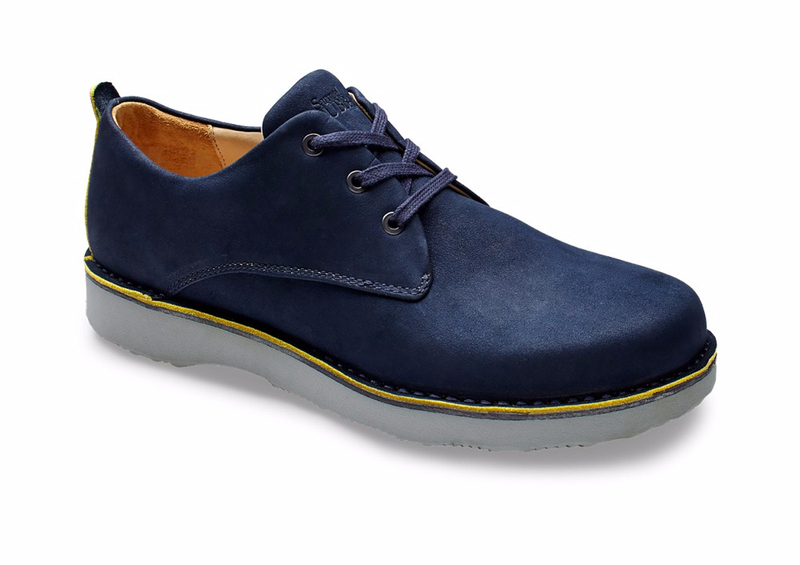 Hubbard Free, the “un-sneaker” These shoes are designed for the active lifestyle. 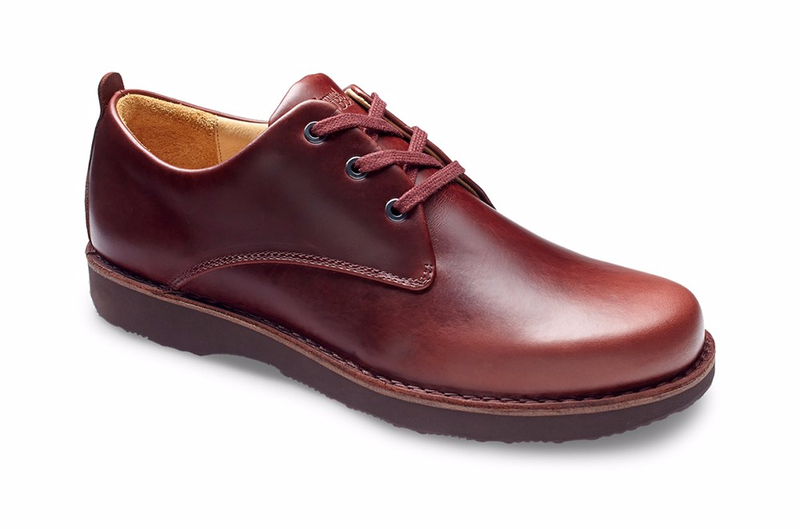 The performance elements of the Hubbard Free are inspired by athletic shoes, but the look is a classic leather shoe. Available in three colors. Ivy Legend The beloved, classic loafer but promoted to the next grade level with richer leather and impeccable attention to detail. Easy on and off for airport security lines and can be paired with your favorite pair of jeans or your boardroom best. Available in Tan Whisky leather. Founder Classic five-eyelet oxford has an air of authority and complements a fine pair of dress slacks or your favorite tailored blue jeans. 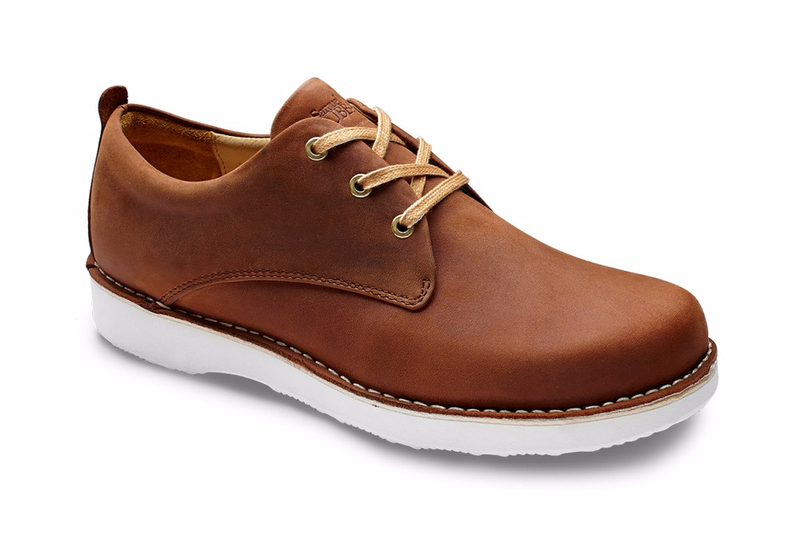 For the man on the go or for long hours sitting or standing, these light and springy shoes are the perfect Go to Work shoe. Available in Black Leather or Chestnut Brown leather. Frequent Traveler This slip-on addition to the Go to Work collection is the ideal shoe when you’re on the go. This model is one of the favorites of the founder, Bruce Katz. Available in Black Leather. Handmade from the finest materials. Samuel Hubbard uses only the finest European leathers and materials. Triple-density memory foam insoles featuring superior-comfort Poron under a layer of silky smooth leather – conforms to the unique shape of your foot for a custom fit. Easily romoved if you wish to use your own orthotics. The Vibram soles are designed and constructed for easy replacement, to cushion your every step for years to come. Guys, are you still wearing performance apparel made from polyester (oil) that is covered in chemicals and stinks 5 minutes after you start sweating? Now there’s a better option that performs naturally, feels amazing, and caters to your active lifestyle! Tasc Performance is on a mission to enhance the active experience through the innovation of original fabrics. Founded in 2009, the father-son owned company brought together their 68 years in textile development to develop an exclusive patent-pending fabric that’s a unique blend of bamboo viscose and organic cotton. This Father’s Day, treat dad to the comfort of Tasc Performance apparel, available at The Foursome Fine Men’s Apparel. Save 25% when you buy 3 or more, now through June 11, 2017. Choose from a great selection of t-shirts, long sleeve tees, 1/4 zip pullovers, sweatshirts, shorts, briefs and undershirts. We are excited to present our spring/summer style guide! Check out the great looks in menswear this season, then visit our website or store in Plymouth to shop the collections from all these great brands. David Donahue is a relatively newer brand for us at the Foursome, but the company started in 1972 by two friends in New York. For decades they exclusively made accessories but expanded their line to dress shirts and sportswear in more recent years. After adding David Donahue dress shirts to our collection in 2016, they have quickly become the go-to shirt for many of our quality seeking customers. The fabric is made of the finest long staple cotton yarns, yielding a soft and natural hand which provides comfort and style. To put it bluntly, the shirts fit perfectly, offering a moderately trimmer fit for the discerning modern man. From collar to cuff, these shirts are made well. For Fall 2017, we are thrilled to offer a more extensive collection of David Donahue sport shirts, sweaters and outerwear. Their clean crisp colors with vibrant patterns pair great with a sport coat or casual twill pants. Their sportswear maintains the same great fit throughout the body and exceptional quality. The Foursome’s David Donahue fall stock-up event runs March 28 – April 4, 2018. Save 25% when you buy 3 or more items. Suits may not be your first choice to wear to the office, but a versatile sportcoat can do wonders for your workplace wardrobe. Our spring assortment of coats offer everything from traditional solids to easy blue plaids to fashion windowpanes. You have creative license to mix with sport shirts, bright neckties or pocket squares, fashion denim, and fun colored pants. For a modern look, fit is still critical. Many of this spring’s sportcoats are offered in trim fit and our on-site tailors are available for complimentary fittings. Byron Clothing is based on British styling which is known to be a trim and fitted sportcoat without being tight or uncomfortable. Notice the natural slope of the jacket’s shoulder to see that Bryon cares not only about the design but the construction of every piece that they make. Save 20% on all sport coats during our spring tailored clothing event, March 16 – 26, 2017. Visit our store for a complete selection of tailored clothing and dress accessories. Now you can get the trim fit you’re looking for in a shirt that is moisture wicking, wrinkle resistant, machine washable, and has four way stretch. It’s almost to good to be true. We are thrilled to offer Mizzen+Main, an innovative performance dress/sport shirt collection at The Foursome. Inspired by modern athletic wear and influenced by professional sensibilities, this is the epitome of Classics Evolved. These American-made shirts combine advanced performance fabrics with refined style and are changing the way men approach this staple of their wardrobe. Founder Kevin Lavelle, while working in Washington, D.C., in the summer heat, watched a staffer run into a very important meeting—soaked in sweat. His shirt was two different colors, sticking to him, and he looked all-around terrible. It was unflattering to an up-and-coming statesman. An hour later, when his shirt was finally dry, it was wrinkled and disheveled. This was right around the time performance polo shirts started to become popular in golf and tennis—and the idea for a moisture-wicking dress shirt was born. Kevin launched Mizzen+Main in 2012 with the mission: To make the best shirts on the market and to make them here. Mizzen+Main is headquartered in Dallas, Texas and manufactured in Philadelphia, Pennsylvania. We love the crisp patterns and classic colors in theses shirts as we head into the fall season. The fit is trim and these shirts look great on guys with an athletic build. Best of all, the stretch and comfort will change the way he looks at his shirts. Save up to 25% during our Mizzen+Main Stock-up Sale, August 16 – 20, 2017.